What y'all talkin 'bout, Willis? Norwegian flag, maybe? (Lots of immigrants I Norway). The Rebel flag is red white and blue and has stars. Uploader fail. 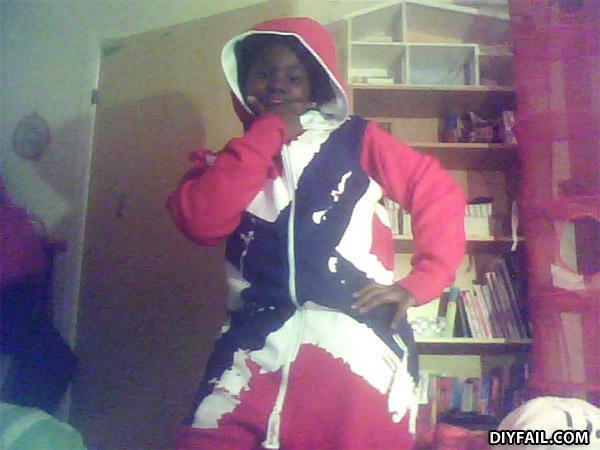 its a black person wearing some sort of rebel flag jumpsuit... i totally see the fail.